Our platform helps you automate many of your time-consuming workflow tasks. 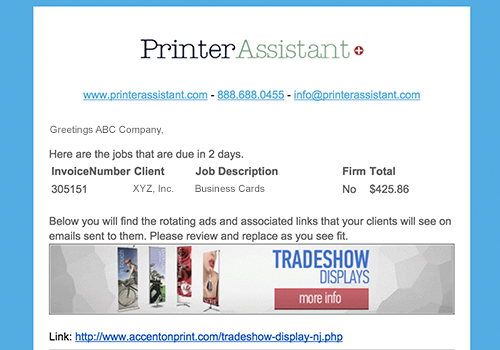 PrinterAssistant improves productivity and performance by keeping you and your staff on top of what’s happening and what’s needed. By offloading transactional client interruptions, your team can focus on more productive tasks.